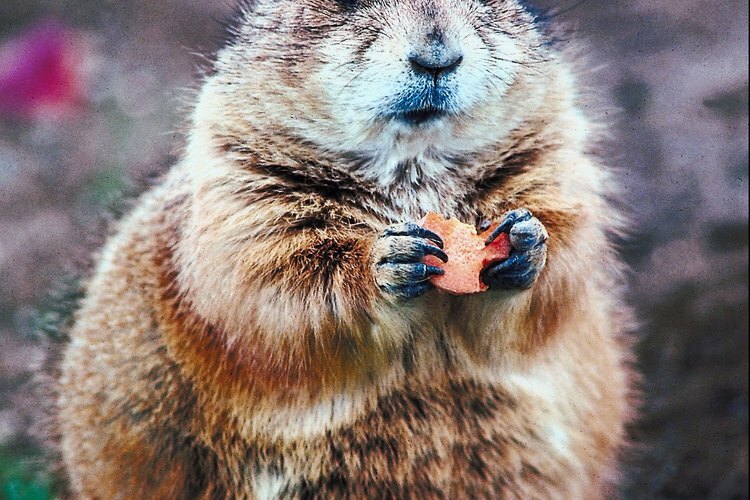 Show the kids pictures of real prairie dogs. Prairie dogs are found in many rural areas of the western United States. Most people consider them rodents; some say they create hazards for horses and cattle in fields. A license is required to hunt them, though there are few limitations. The population of prairie dogs has declined in recent years, and some groups are beginning conservation efforts. There is no bag limit on prairie dogs in Kansas. You must have a general hunting license to kill them. There are also no restrictions on how they may be killed or trapped; however, the National Park Service has banned poisoning them on federal lands. Some farmers lease land and offer guided or unguided hunts for prairie dogs on their properties. There are some public areas for hunting. Some hunting outfitters and landowners offer meals and accommodations as part of a hunting package. Prairie dog hunting season is year-round. Prairie dogs tend to hibernate in winter but can be seen even then at times on sunny days. They are very active throughout the summer and can be spotted easily during that time, especially from July to September. Prairie dogs are not considered edible by humans, and they may carry plague and other diseases. Their hides are also of no value. Wildlife experts say to leave them in the field for coyotes and raptors to eat. Prairie dog eradication efforts have been underway for decades. Some scientists now say they are beneficial in controlling insects and aerating grassland soil, according to Desert USA. The Defenders of Wildlife organization says that, over the last 150 years, the population of prairie dogs has decreased 95 percent in the United States; the organization is leading conservation efforts conservation. The U.S. Fish and Wildlife Service has declined to give protected status to prairie dogs. Prairie dog hunting is allowed at Cimarron National Grassland. Due to a major outbreak of plague there early in 2010, game officials do not recommend hunting prairie dogs until the plague has passed and the population increases. Officials at the facility estimate normal hunting to return in 2011. Most people who hunt prairie dogs use long-range telescopes on their rifles. They try to shoot them from long distances---as much as 1,000 yards. Because the animals are not edible, the sport is more about shooting than harvesting.